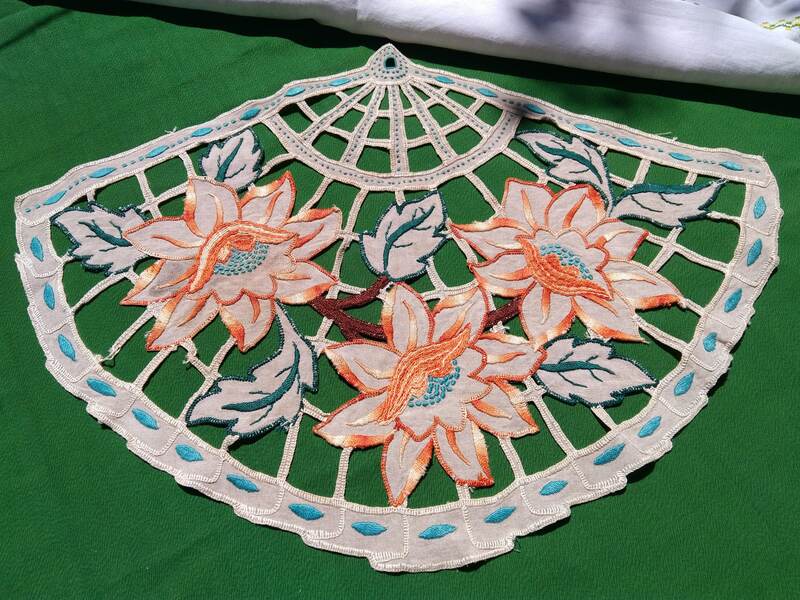 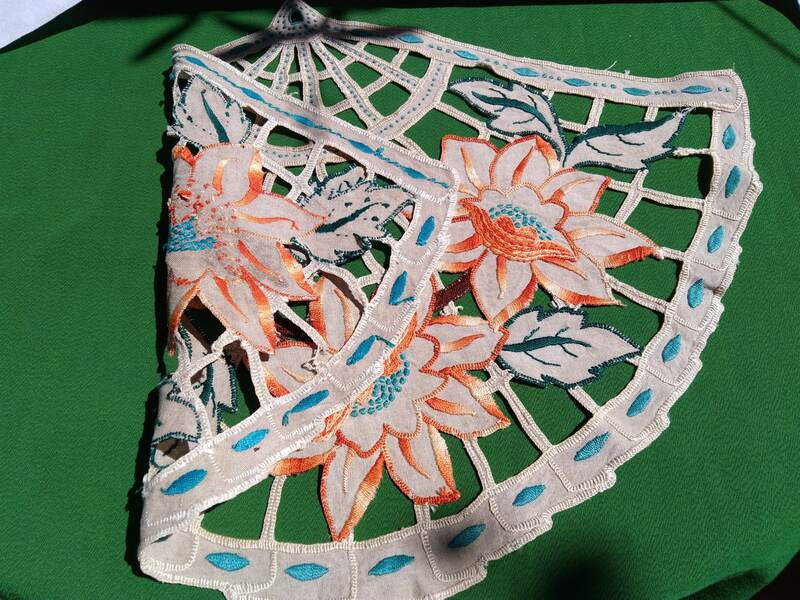 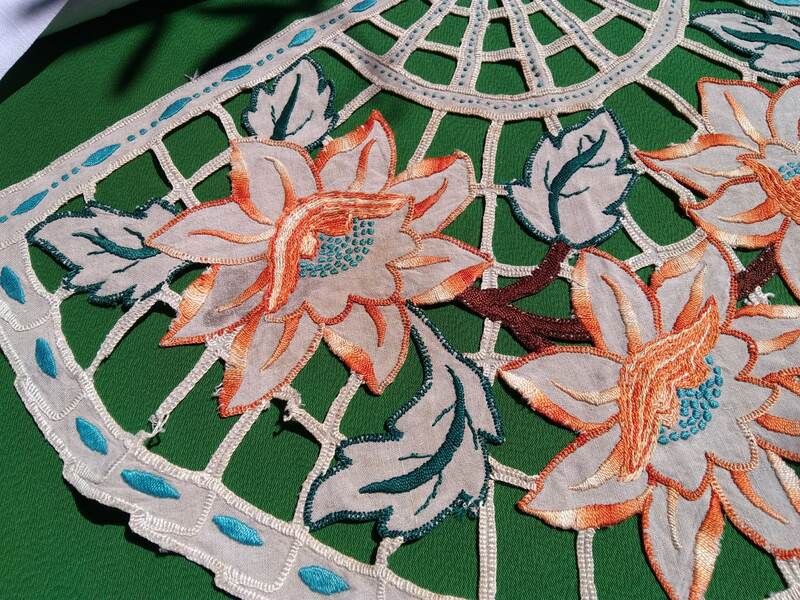 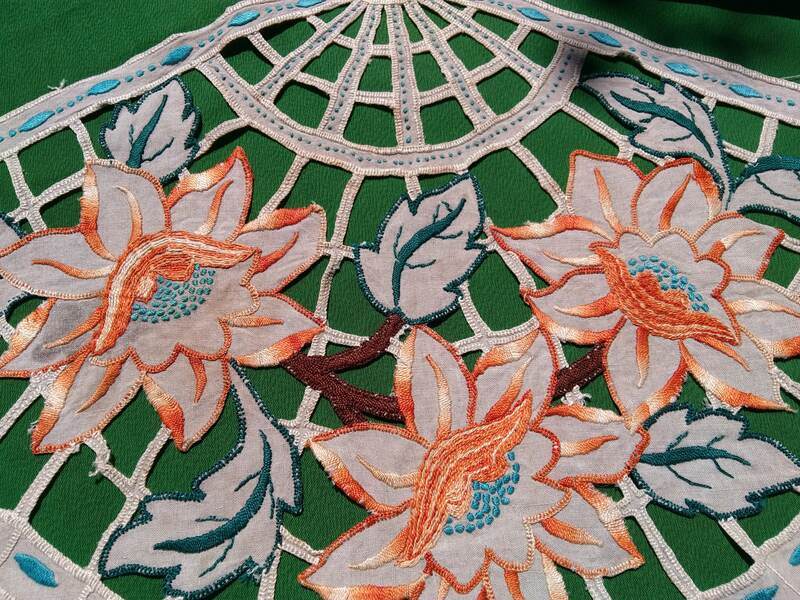 Gorgeous Fan Guipure Center Piece hand embroidered. 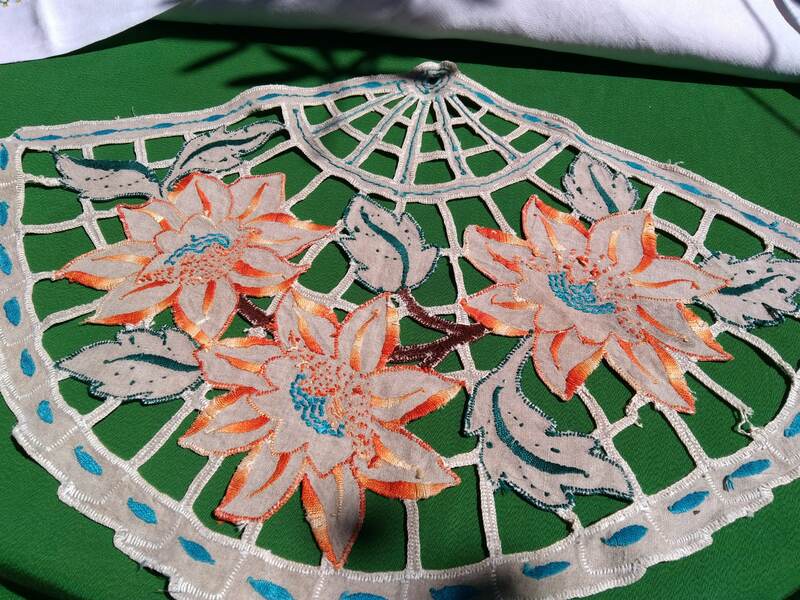 Beige French Linen with orange flowers hand embroidered. 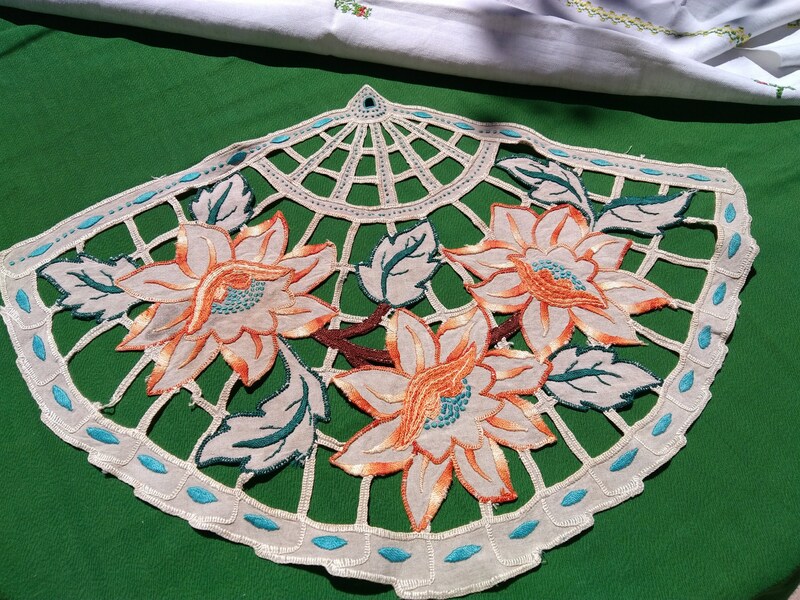 Original French center piece to be set on top of tablecloth or a piece of furniture !